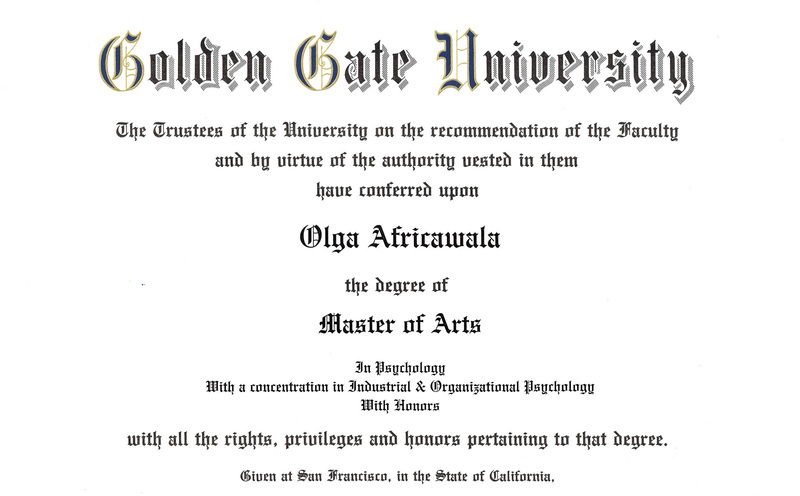 My name is Olga Africawala. 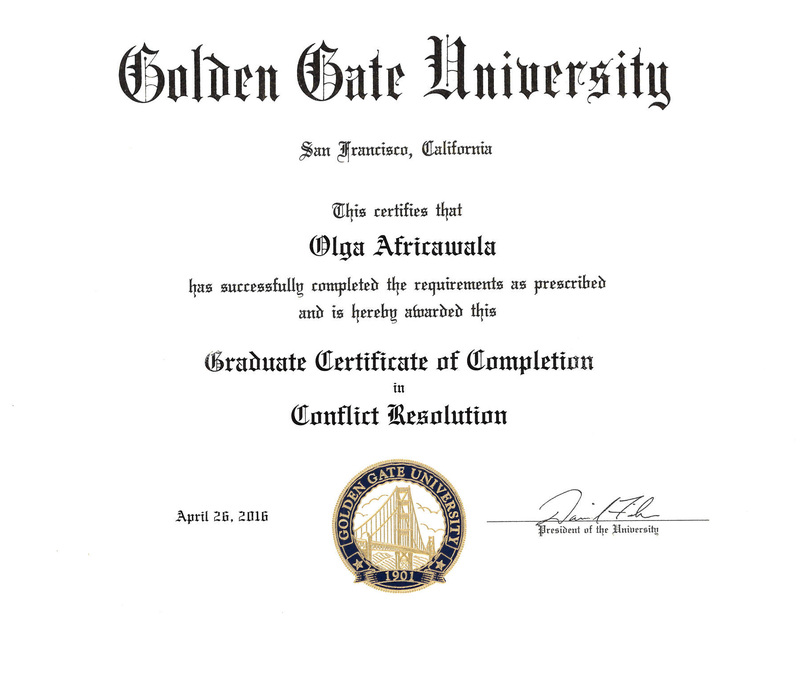 Since I obtained my Master of Arts degree in Industrial & Organizational Psychology from Golden Gate University in 2010, I have continued to practice my conflict resolution skills, successfully repairing damaged relationships and finding new ways to develop and maintain new relationships in both my personal and professional life. I’ve also helped my friends, colleagues and clients gain valuable skills to help them understand themselves better, allowing them to express their frustrations or dissatisfaction with family, friends and significant others in a kind and respectful manner, leading to improved relationships. 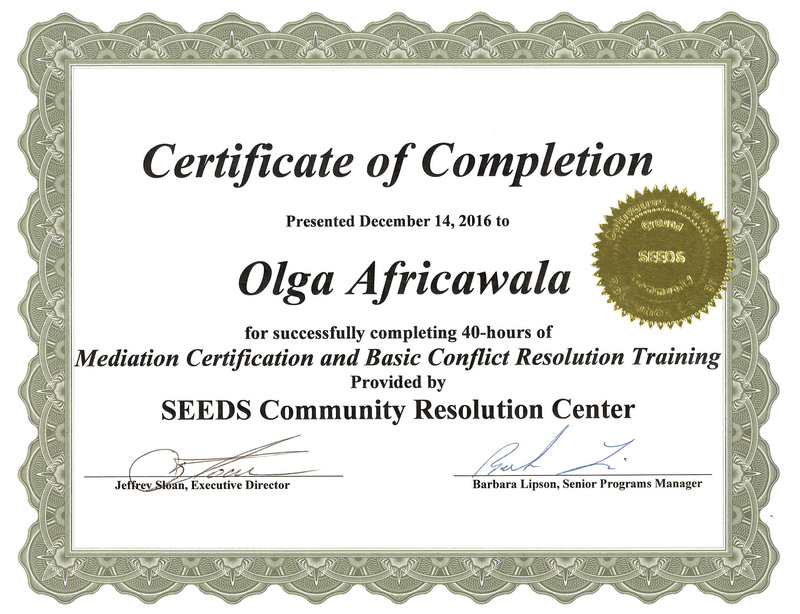 I had served San Francisco residents as a Mediator and a Conflict Coach at Community Boards from February 2017 and until April 2018. 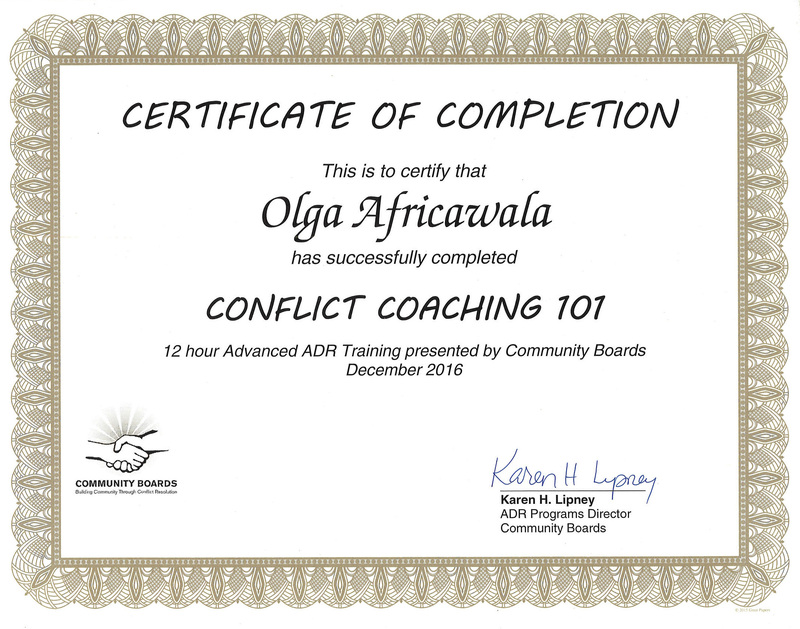 At that time period, I also had coached and trained new mediators as a Role-Play Coach. 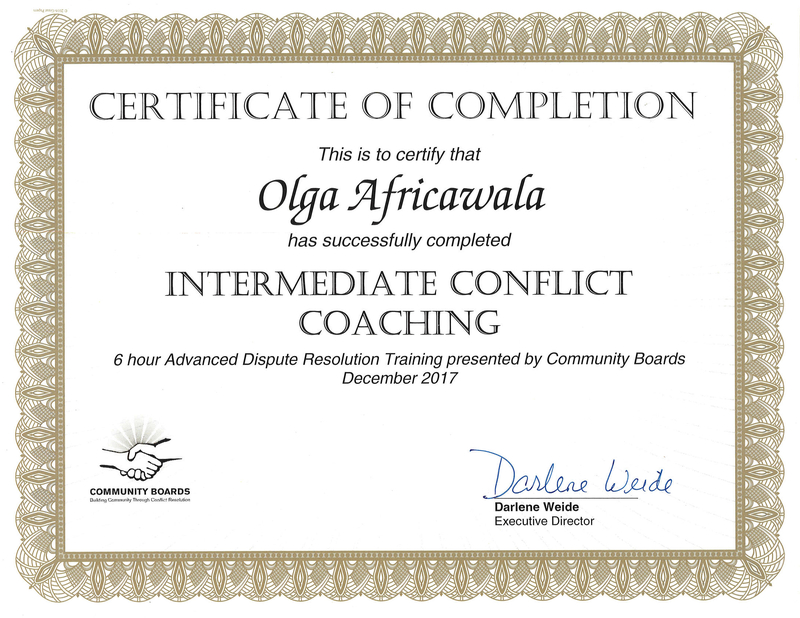 Since February 2018, I’ve been contributing to Conflict Resolution program development at the Center for Human Development in Concord. 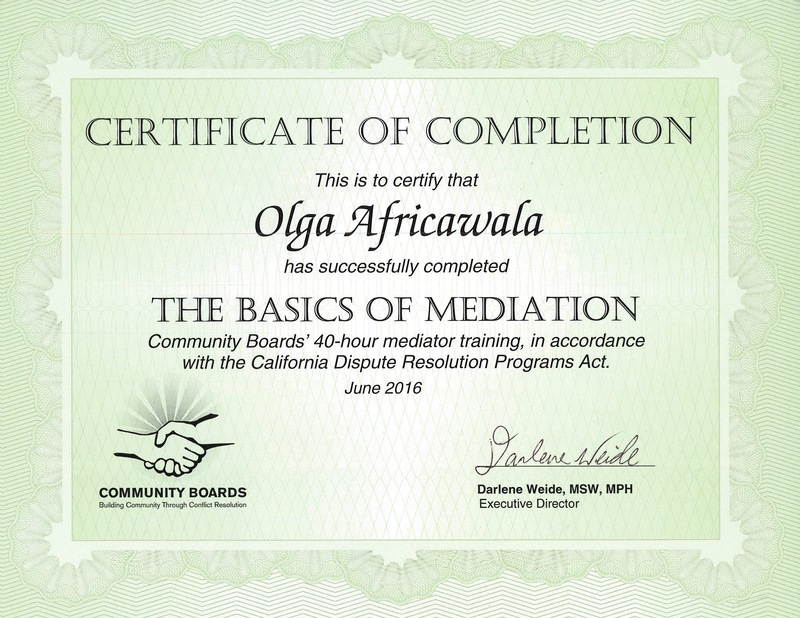 • The Basics of Mediation Certificate, Community Boards (2016), 40 hours.